Finally technology for Green Reading is here! 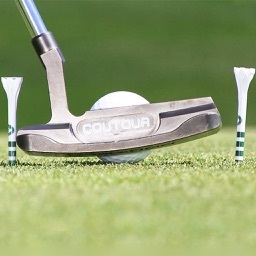 The essential putt break estimator and putt training environment for all golfers. · Enter Distance, Green Speed and Slope. 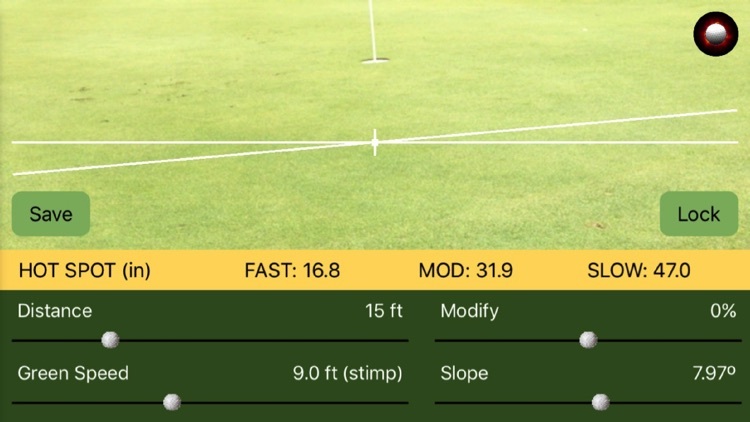 (Use the automated slope gauge to capture the slope of the green). Just tilt your phone to align with the slope of the green or lay it down by the hole! 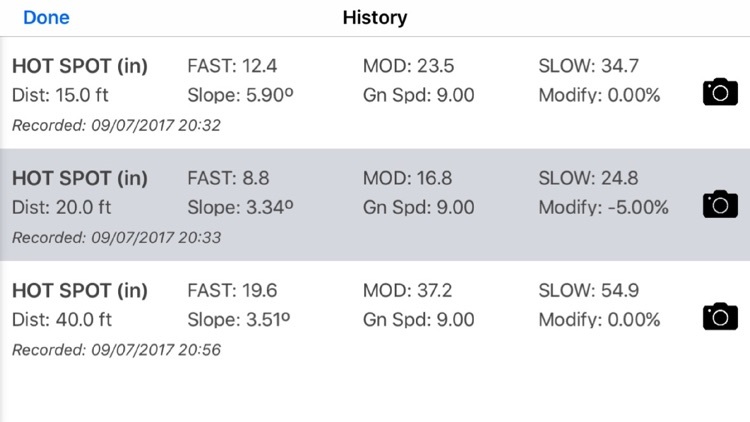 Press "Lock" to lock in Slope value and the Hot Spot is displayed. Incorporate uphill, downhill, undulations, grain and even wind conditions easily utilizing the Modify feature. 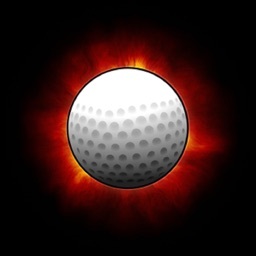 Pick a line within the HOT SPOT, give the ball a good roll, and watch the ball track to the hole! 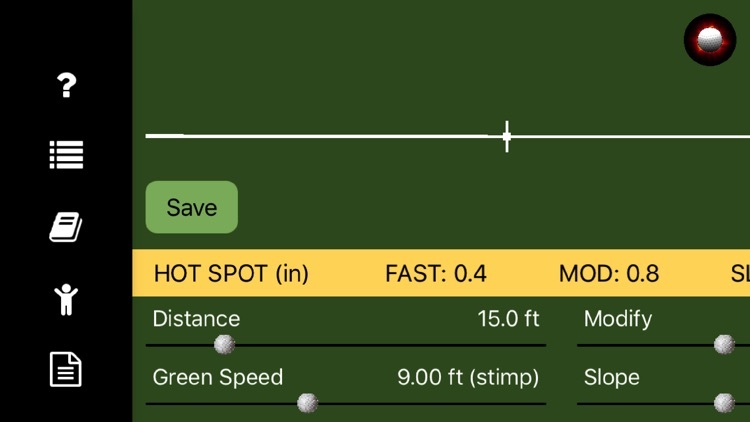 Use the graphic control to see a virtual target line or break line of the putt. 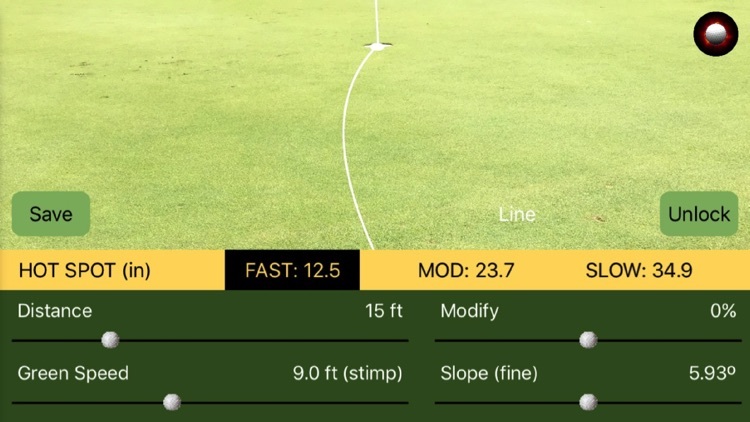 · Use the camera to capture the view of the putt and align the virtual target line using the hole drag feature. 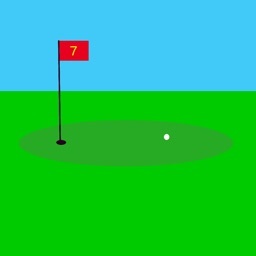 · Save the putt information for future use in the History Log. 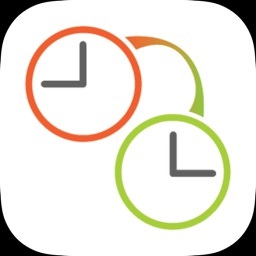 · Use the exercises and games to build skills and challenge your friends. · Imperial (ft, in)and Metric (m, cm) units supported. 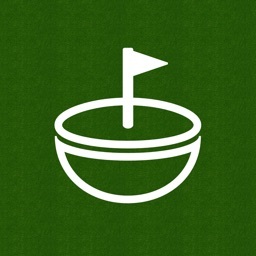 "Putt" your troubles away and demystify green reading forever. Let's get those wasted strokes off your scorecard. Hot Spot Putting is for training use only; not intended for tournament or handicap play but it's intended to help you kick it in both. 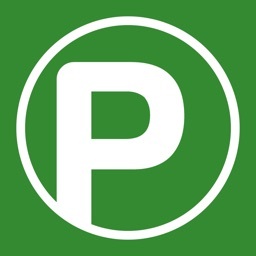 Users get several complementary green reads for trial prior to purchase.